Well, we had our swing at it, now it's time for you to step up to the plate. Yep, it pretty much was a lead-pipe lock that when Deep Silver excreted this bad idea earlier in the week, it was going to get the 'Shop Contest treatment. You don't have to create severed torsos of other game characters like we did (unless you really want to. That's fair game.) The basic job here, is to take this ridiculous "collector's item" and make it even more ridiculous. Context is key. 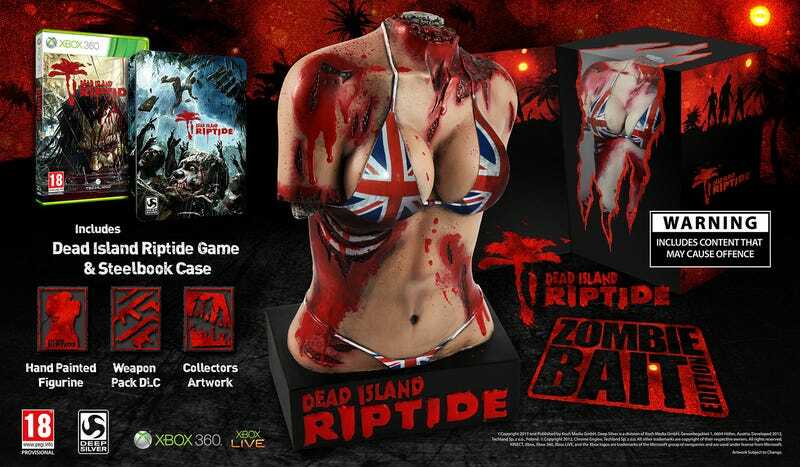 So we could have Zombie Bikini Torso, say, talking to Oprah. Or Lance Armstrong talking to Zombie Bikini Torso. Or put it on the cover of Sports Illustrated's swimsuit edition. Or in the meat case at your local grocer. Take that image above (click to get it full size) and add funny. Go to town. Here's everything you need to know about posting images in the comments.